In this HTML Tutorial we’ll go through the simple HTML code sample below . In each video, you’ll learn about some specific element of HTML. By the end you will be able to understand what each part and tag does. 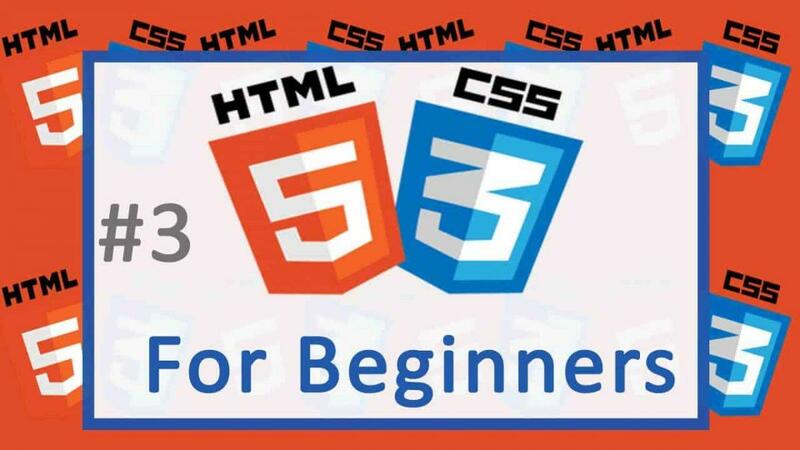 You will learn to edit the various HTML Tags . You’ll start by understanding the different parts of any HTML document. In the end you will be able to understand how you can create your own HTML file and add elements to it. Paragraphs are essential for adding Text on any Web Page. In the p Tag section you will learn to edit the paragraph Tag. We’ll still not be looking at CSS in this first section and hence you’ll have to wait until later on to understand how to style the Paragraphs in HTML. There are different headings that you can use while structuring your Web Page. You should not mix them haphazardly. You will learn the different Heading tags. And how to use and edit them in your code. Divs are still an essential part of structuring your Web Page. You will learn how to use this tag in grouping elements in your Web Page. In the images section you will learn how to deal with images in HTML. You will learn to display images in external locations as well as those in internal directories, no matter how deep the directories go. You will learn to create lists. You will encounter both Ordered and Unordered Lists. Lists happen to be an important part in creating menus and other Web Page display elements. The beauty of HTML is the ability to interlink between pages. You will learn how to create Hyperlinks using the link tag. You may also decide to watch this Full course right away , using the button link below.